My one request for when we were in Mexico was that we went to a flea market. I wanted to get some Otomi fabric so bad. I first saw this cool fabric on the cover of Emily Schman's Cupcakes and Cashmere at home book. It is made in a totally different part of Mexico, but I figured that there would be some at a flea market. After doing a little research and talking with the hotel concierge, we decided to do two things at once and do the catamaran tour with a shopping trip on this neat little island included. So thrilled we did! After getting a little bummed from walking around and no one knowing what otomi fabric was, I thought all hope was lost. 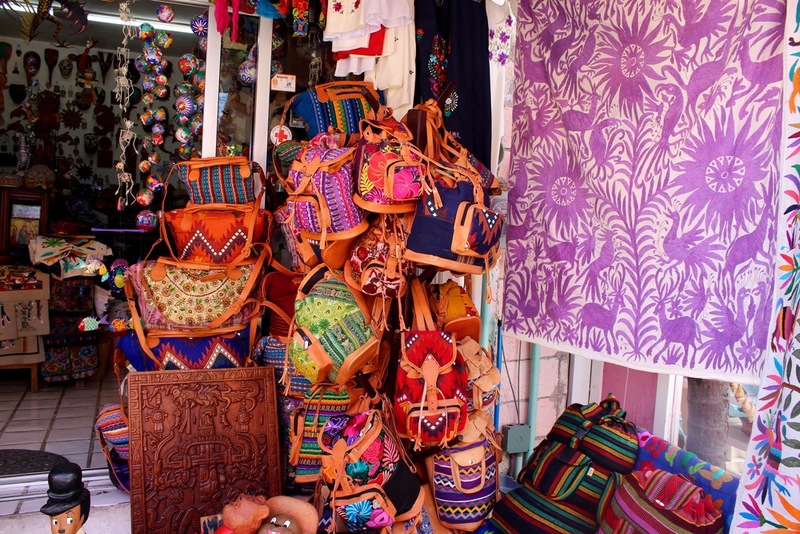 Then, we turned a corner and there was a store owned by an Otomi woman and her grandson that had so much! She was the sweetest woman and was so excited that we thought her work was amazing. It truly is the prettiest handmade fabric I have ever seen. I wanted pillow cases, but she only had single pieces. So, I bought 4 pieces that I had to have. My Mom is going to make them into pillows for B and I once we have a new house and a place to have more pillows! We also got a new table runner with orange otomi that I plan to bust out for Thanksgiving and a Cinco de Mayo party! She even had ornaments that weren't made by her, but by her neighbor. Isn't her work amazing? Such a neat experience, I will share the pillows once my Mom makes them! For some otomi pieces visit HERE and HERE. Below - the entire island is golf cart and mopeds only. Such a great day trip!